Lisa Smith is the latest lawyer to join Clarion’s expanding Corporate Recovery and Insolvency practice which was recognised in the latest Legal 500 Awards. With over ten years of experience in both personal and corporate insolvency and restructuring, Lisa has acted for individuals, businesses, directors, insolvency practitioners and financial institutions. She is able to advise individuals and companies in financial difficulty, whether it’s a director looking for advice on their duties in an insolvency situation; a creditor who needs to recover funds or assets; or a third party interested in buying a company or asset out of an insolvency process. 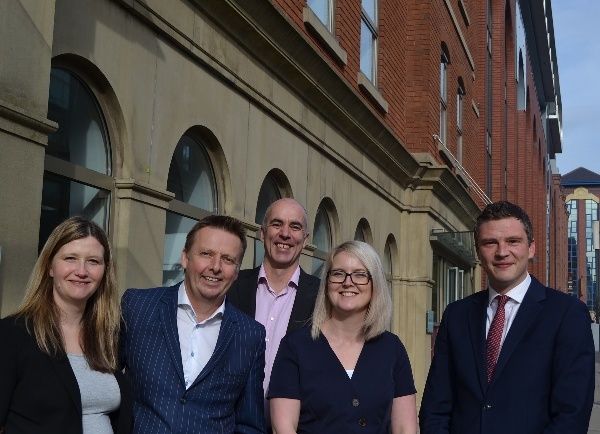 Ryan Millmore, joint managing partner and head of Clarion’s Corporate Recovery and Insolvency team, said: “Having had our most successful 12 months yet, the practice is continuing to thrive, increasing both our range of restructuring and finance services and also our market share. “We now have one of the most experienced and well-regarded practices in the region and, consequently, we are able to attract the brightest talent. Lisa said: “I am excited to be joining such a renowned practice. Not only was Clarion involved in some of the country’s most important contentious cases last year, including national retail insolvencies, it also won the a prestigious Legal 500 award. In addition to being named Firm of the Year (outside London) in the Finance category of the Legal 500 Awards, Clarion has also again been nominated for the Insolvency Team of the Year at the TRI Awards; and joint managing partner Roger Hutton has also been nominated for Insolvency Lawyer of the Year.